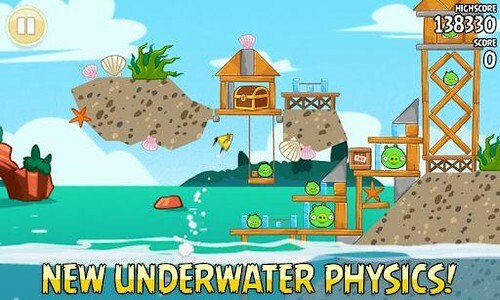 Rovio has updated the Angry Bird Seasons with Piglantis, features 30 all new underwater levels that adds a new sense of physics. For the very first time, the birds are taking to the water -- fling them in the lagoon and see what happens! Piglantis is available now for iOS and for Android on Google Play and Amazon.